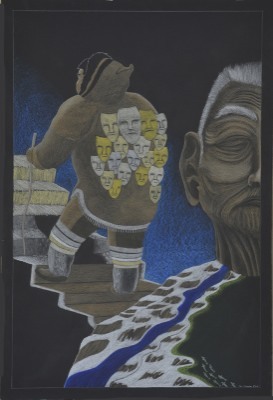 Tim Pitsiulak comes from a family of artists including his aunt, Kenojuak Ashevak, who inspired him to become an artist. 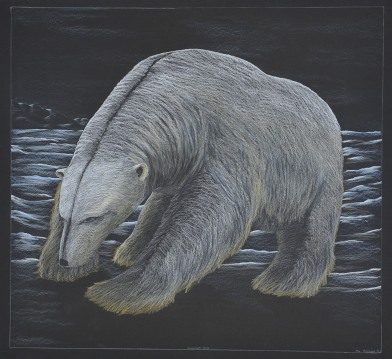 The primary influence for many of his realistic drawings is the land of Nunavut and its wildlife. 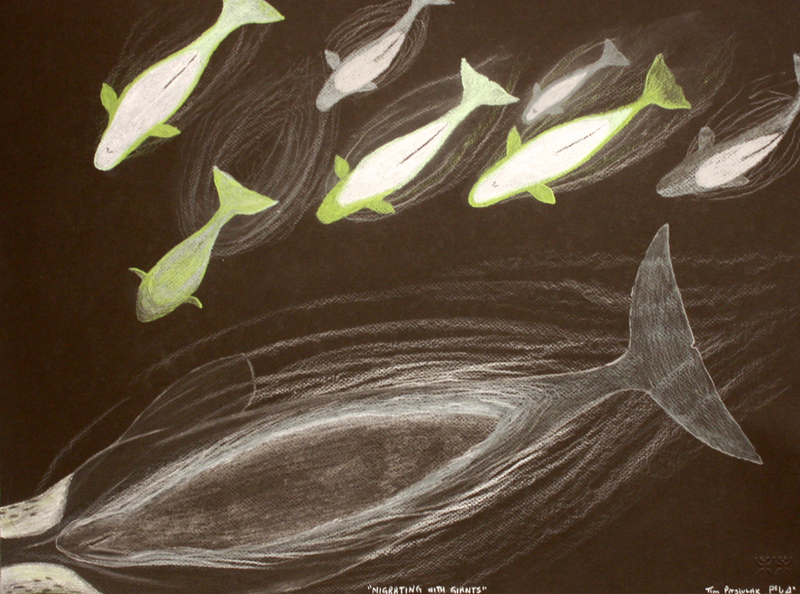 In particular he is drawn to whales of the north, which he represents as majestic and mysterious creatures. 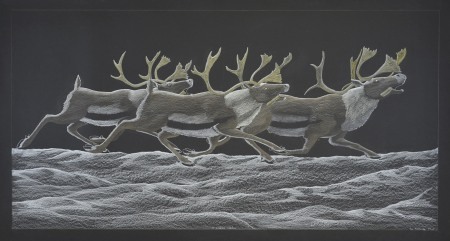 Recently he has also focused his work on chronicling the everyday, modern life in Cape Dorset. 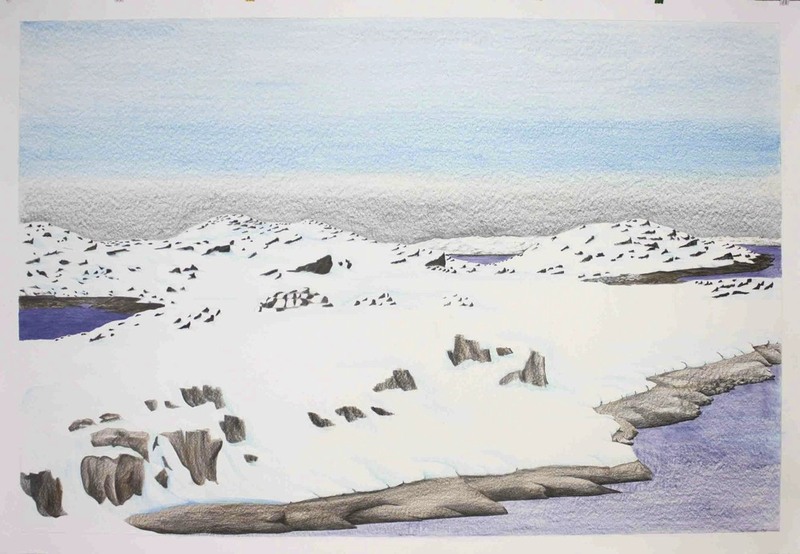 Pitsiulak's large scale drawings reflect his respect for the natural world. 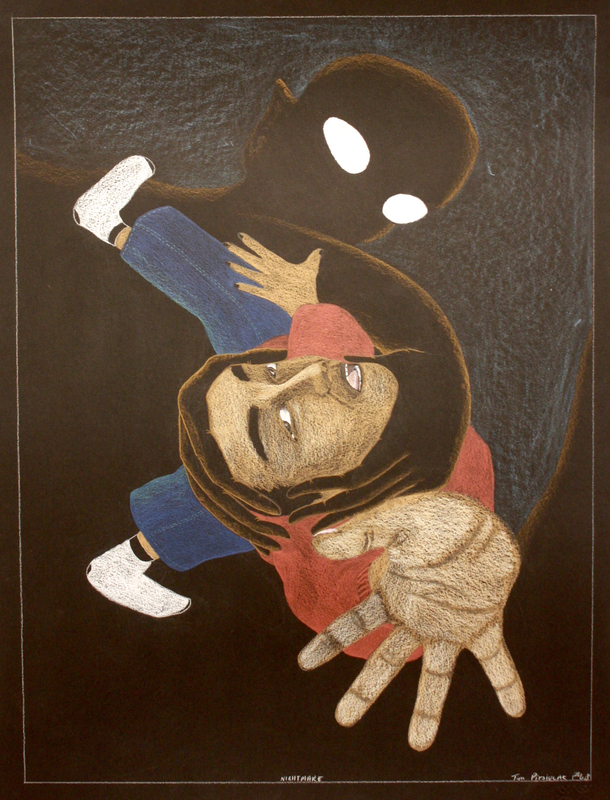 The Art Gallery of Ontario. 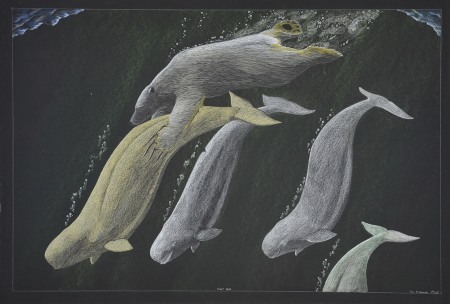 "Inuit Modern," Gerald McMaster, ed., The Art Gallery of Ontario, 2011. pg. 192-195. 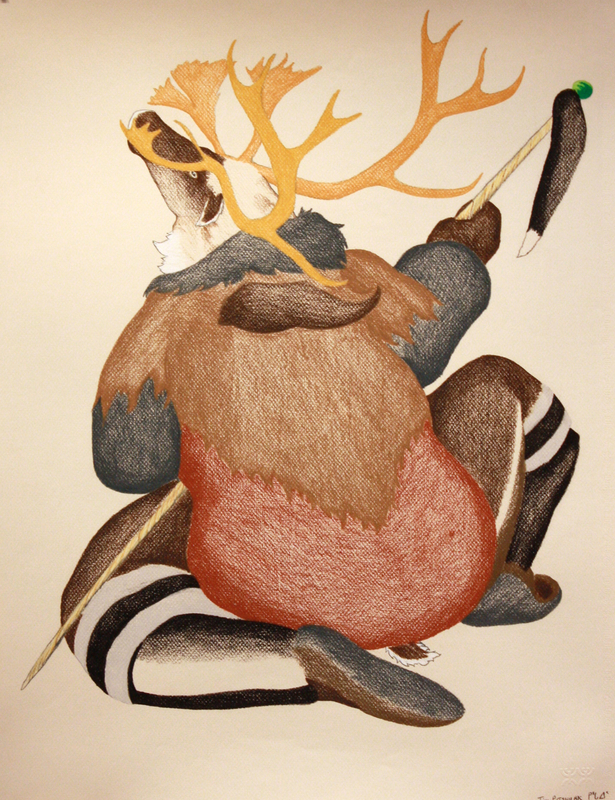 'The Hunter Artist', The Walrus, 2012. 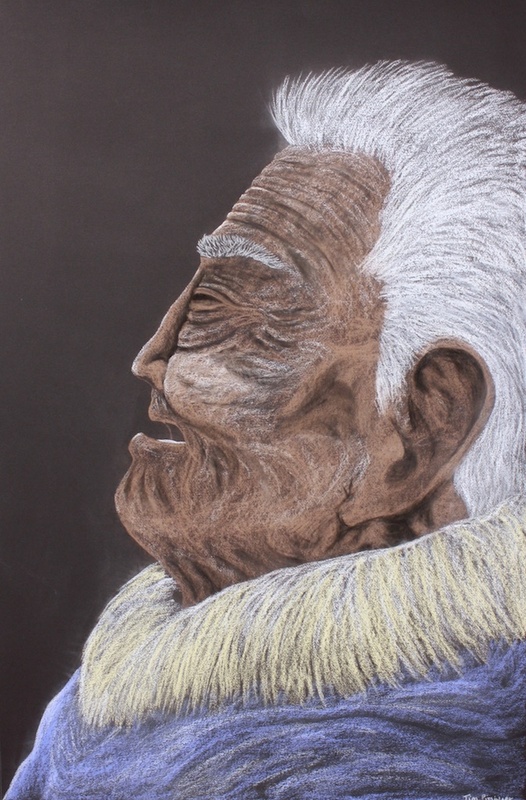 'Inuit Artist Draws Inspiration from his Renowned Aunt," Thomas Rhoner, Nunatsiaq Online, 2014. 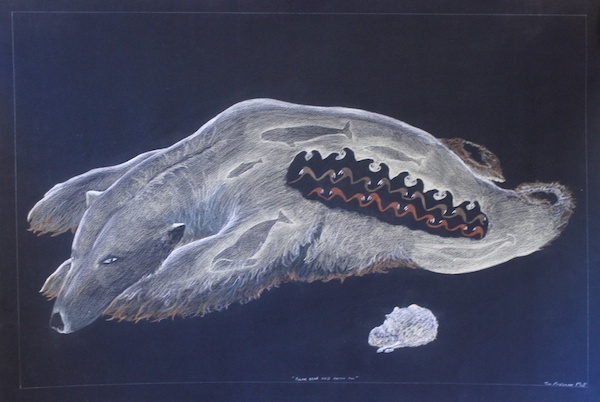 'Inuk Artist's Design Appears on new Quarter,' CBC, 2013.